What is the PCB Module? ADMET Predictor’s PCB Module contains models for physicochemical property prediction. Each model was built by Simulations Plus scientists using artificial neural network ensemble (ANNE) technology. The data sets were highly curated in order to generate highly accurate models. The data for our pKa model (S+pKa) was recently expanded in a collaboration with Bayer scientists. This resulted in more accurate predictions for a set of 16,000 compounds that were not used to train the model. Our logP (S+logP) and aqueous solubility (S+Sw) models have been ranked number one in peer reviewed journal articles.1,2 The models in the PCB module are also available in the ADMET Predictor module of GastroPlus® in order to perform PBPK simulations using in silico predicted properties. The image below lists the models in ADMET Predictor’s PCB Module. Brief descriptions of the models are below. 1 J. Pharm. Sci. 2008, 98, 861. 2 a) Expert Opin. Drug Discov. 2006, 1, 31-52. b) Science of the Total Environment, 2013, 463-464, 781-789. 3 Varma MV, Steyn SJ, Allerton C, El-Kattan AF. “Predicting Clearance Mechanism in Drug Discovery: Extended Clearance Classification System (ECCS).” Pharm Res 2015; 32:3785. 4 Amidon, GL, Lennernas H, Shah VP, Crison JR”A theoretical basis for a biopharmaceutic drug classification: the correlation of in vitro drug product dissolution and in vivo bioavailability.” Pharm. Res. 1995; 12:413-20. 5 Butler JM and Dressman JB. “The developability classification system: application of biopharmaceutics concepts to formulation development.” J. Pharm. Sci. 2010; 99(12):4940-54. In this webinar, we present a new in silico multiprotic pKa prediction tool with upgraded functionality, improved prediction accuracy and significantly expanded applicability domain. 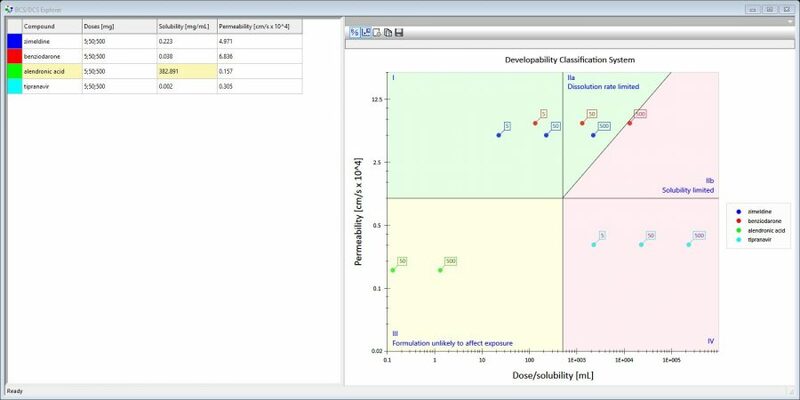 This webinar describes our modeling methodology and highlights the performance of key models. Special attention is devoted to our novel method of predicting macroscopic pKa, and our "Absorption Risk" Score. 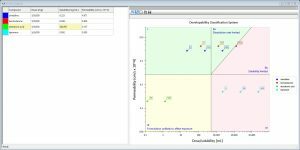 Learn about all the new features in ADMET Predictor 7.0 and how they can help you. Multiprotic pKa model (S+Acidic_pKa, S+Mixed_pKa, S+Basic_pKa) – a thermodynamically accurate multiprotic model for multiple ionization sites based on atomic descriptors and neural networks – not a database lookup! Blood-brain barrier permeation – there are two models, classification (BBB_Filter) and regression (LogBB). The first classification model has a low cutoff such that compounds that are predicted to have low permeability have very little chance of penetrating the blood-brain barrier. Compounds that are predicted to have high blood-brain barrier penetration should be evaluated with the regression model that predicts the blood to brain concentration ratio.